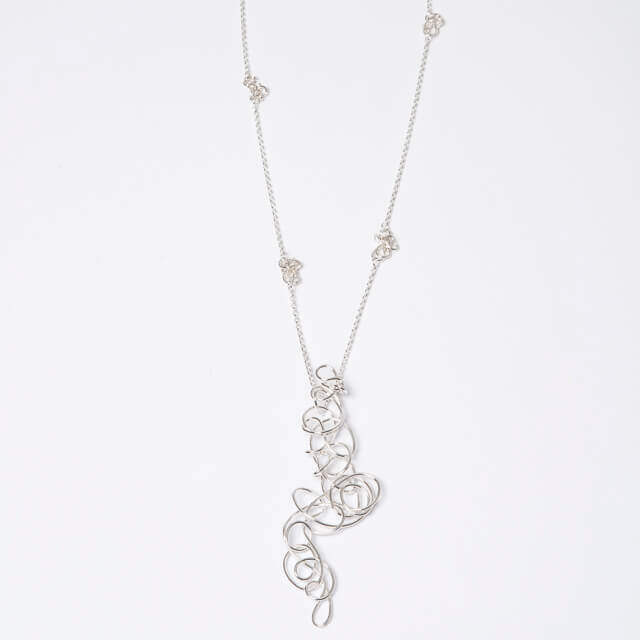 A statement neckpiece of polished silver wire, entwined to create individual elements and combined with belcher chain. 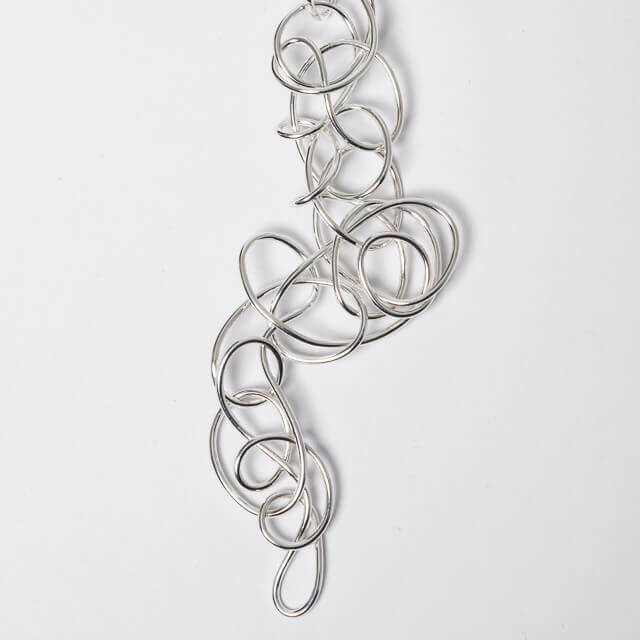 A long statement neckpiece made from polished silver wire which has been entwined to create individual elements and combined with belcher chain. A one off piece which looks beautiful when worn with any style. 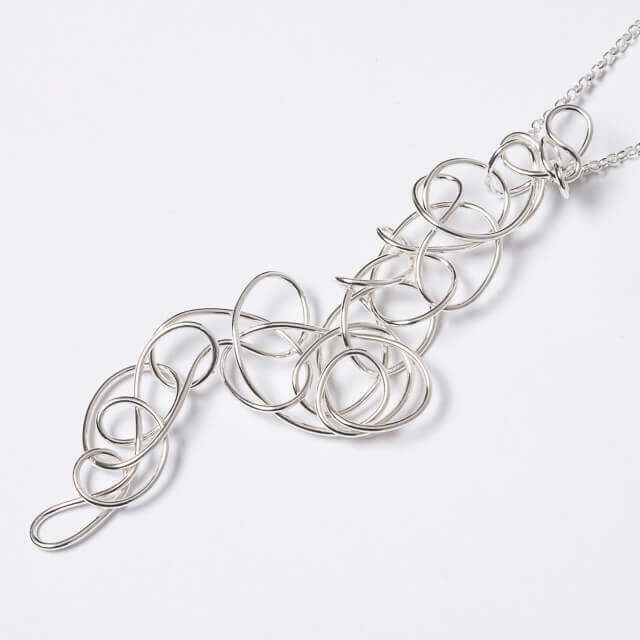 From the Entwined Collection this statement neckpiece is inspired by ancient and classical symbolism. Individually hand-formed, making it a unique one-of-a-kind piece. Choose to stand out from the crowd!